The first ever WordCamp London took place on Saturday 23rd November 2013 at the Bishopsgate Institute near Liverpool Street station. It was a fabulous day – informative and great fun, due in no small part to the efforts of the group of people who organised the event. It can’t be easy organising an event like this but as far as I could see, everything happened exactly as planned. I’d offered to be a volunteer to help out on the day, and my duties on the registration desk meant I couldn’t attend all of the presentations that I wanted to go to earlier in the day. But I did get to see some. Before the morning coffee break I saw some of Rachel McCollin’s talk. Rachel always has a lot of interesting things to say about responsive design and she covered how developing for different devices has moved on, now that there are so many different screen sizes. 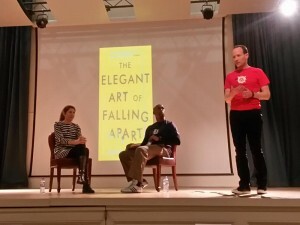 I was allowed time off from the desk to deliver a presentation myself. My presentation was titled ‘So, how do I know if my WordPress site is accessible?’. I’d distilled some common accessibility issues down into a series of yes/no questions that anyone could ask about their own website. Get these questions right and your website would be more accessible than many. You can view my slides on Slideshare. Next up I caught most of Mike Little’s autobiographical history of the early days of WordPress. Mike worked with Matt Mullenweg to launch WordPress – a platform that in just ten years has become the most popular web CMS and is now used by over 20% of the world’s websites. I enjoyed the way that Mike was able to breathe the human element into his story. Mike also cares a lot about the accessibility of WordPress and I was pleased he mentioned the need to improve the accessibility of the admin area so that everyone can use WordPress to run their site. After an excellent lunch I managed to see some of the lightning talks. I love the format – speakers have just 5 minutes to get their ideas across. WordCamp London wasn’t just Alex Denning’s first WordCamp – it was his first presentation ever. He did well, and shared some ideas on how to focus your blogging and social media for maximum effect. Following on from Alex’s session, author Jessica Jones (interviewed by Ben Arogundade) talked about how blogging her experiences of dealing with breast cancer secured her a publishing deal in Australia and the UK. Dave Coveney finished off the day with a view of the readiness of the publishing industry to deal with the relentless advance of digital publishing. Once we’d left the venue we all trooped round the corner to the Kings Stores – a large pub (fortunately) – for the WordCamp after party. It was a chance to relax and chat with the great WordPress community – and to enjoy some great food and beers. 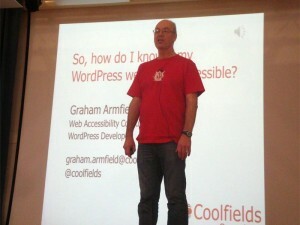 I also attended the WordCamp London Contributor Day on the Sunday. I’ll be writing more about that amazing experience shortly. Once again I want to thank the organisers for doing a great job and helping to make the event so special – a great venue, great food, great social. I look forward to the next one.